How does mindfulness apply to music making? When we’re mindful, we notice. We attend to our sound, emotions, execution, and coperformers. We perceive accurately, without judging ourselves. We bring fascination to every phrase we play or sing. If we slip into mindlessness, though, we operate on autopilot, going through the motions without being fully present. We promote boredom and burnout because we fail to recognize possibilities for creativity or progress. Unfortunately, I’ve observed that young musicians often repeat material mindlessly in practice, believing that repetition alone will cultivate expertise. It won’t. Only mindful practice breeds excellence. Mindless practice, in contrast, cultivates mediocrity. Harvard University psychologist and researcher Ellen Langer has proven as much and written about her research in The Power of Mindful Learning. I also make use of her findings in The Musician’s Way. Below are five characteristics of mindfulness that Dr. Langer identifies along with some of my thoughts regarding how we musicians can apply them. Each day when we play or sing, we can feel a sense of wonder and gratitude, or we can take music for granted. Similarly, every time that we make music with others, we can spark mutual inspiration, or we can tune others out. By opening ourselves to opportunities for novelty – such as new ways to interpret pieces we’ve performed for years – we become engaged, and our imagination takes flight. Every pitch vibrates with meaning. A lighter touch here? A little more fullness to the sound there? What about a tad more accent on the downbeats? As we zero in on distinctions in sound and technique, we heighten our perceptiveness, and our creativity expands in step. Such sensitivity keeps us flexible – we recognize that music needs to adapt as moods and performance situations change. For example, when we’re mindful, we’ll modify our sound and tempos to fit the sonic properties of contrasting performance venues. And we’ll adjust our interpretations in keeping with the flow of our lives, dialing in punchier or smoother articulations to express varying emotions. In The Musician’s Way, I wrote, “Music is a field so vast that no one person can comprehend more than a slice of its totality” (p. 104). Through bringing both conviction and humility to our work, we can practice and perform with all our hearts and yet be ready to revise our approach when alternate perspectives appear (as often happens when we collaborate with other musicians). In sum, we uphold a healthy awareness that we might be missing something, and we’re eager to pivot beyond the familiar. If there’s a central tenet to mindfulness it’s noticing. Does the passage we’re practicing flow? If not, a mindful attitude enables us to discern as much and then take pleasure in resolving musical and technical problems. 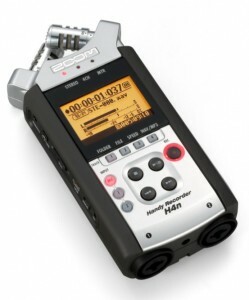 Self-recording helps, too. With a mindful orientation in the present, we sense how we truly sound without preconceptions or self-judgments. Then, with shining eyes, we mold our music in boundless creative ways. 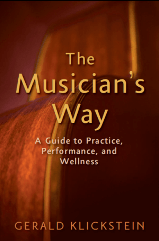 See Part I of The Musician’s Way for a treasure trove of mindful practice strategies. There is a book by Daniel Kahneman, a Nobel Laureate in Economics (his work is in behavior economics or more familiarly behavioral psychology) titled “Thinking Fast and Slow”. He addresses mindfulness in a different way. There are some nice reviews on Amazon that can give you the main thrust of his findings and the research that led him to those findings. What I wanted to give you a tip about though was a book mentioned that dovetails nicely with something you wrote in the Musician’s Way. “The Checklist Manifesto: How to Get Things Right” is written by a surgeon who looks at different applications of checklists in medicine, aviation and even building and architecture. It is an easy and engaging read. I thought you might like it. Thanks, Mike – I appreciate you sharing your ideas and recommendations. I concur that both of the books you mention contain much of value, and I’m glad that you reminded the MW community of them. Thank you for such a helpful resource! The quote on the top of this entry really caught my eye. 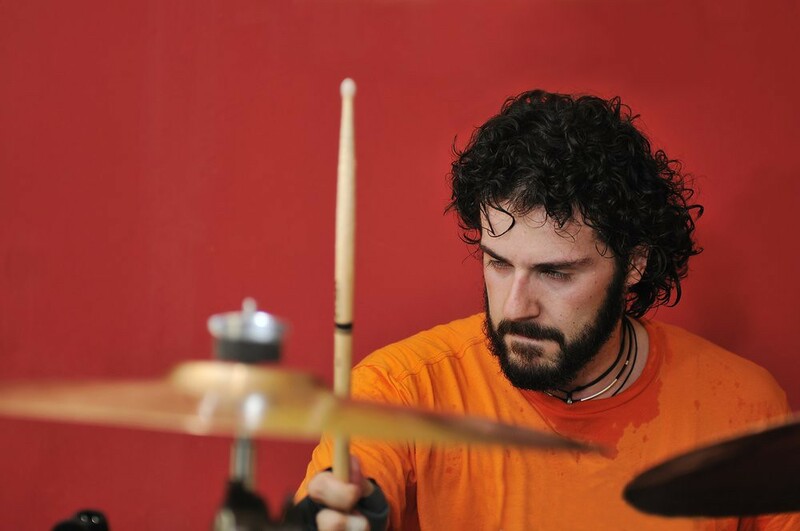 As a band teacher, I see FAR too many teachers just hammer on meaningless drills out of method books that just stifle creative and musical thought. I certainly intend on sharing much of what I’m learning from your book and this site with my colleagues and students. Thanks, Glenn – I appreciate your supportive words and hope you’ll stop by often. Another great blog. I am sharing this with my guitar students and my friends. I know a few have bought the book already. Thanks for consistently great material!